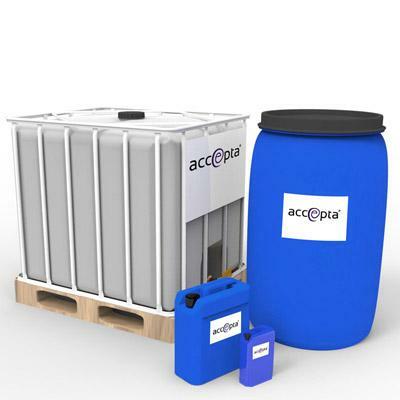 Accepta 2225 is a high performance, silicate based cooling water scale and corrosion inhibitor scientifically formulated for the treatment and protection of cooling water systems operating under low to medium hardness water conditions. A silicate based blend, Accepta 2225 inhibits both ferrous and non-ferrous metal corrosion and exhibits excellent deposit control. Accepta 2225 gives superior results when used in low to medium hardness waters. Accepta 2225 can be dosed at 60 – 100ppm (45 – 80 ml per cubic metre divided by CF).